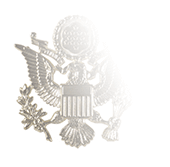 The Astronaut badge is not unique to the United States Air Force, with versions being issued by the other four branches of the United States Armed Forces as well as the National Aeronautics and Space Administration. 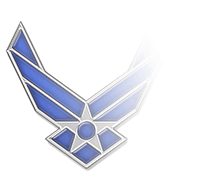 In the case of the Air Force, however, the Astronaut insignia is not a badge per se, but rather a qualifier that’s only awarded to Airmen who have already earned a badge in one of the five Aeronautical ratings: Pilot, Air Battle Manager, Combat Systems Officer, Observer, and Flight Surgeon. When the Astronaut badge was first introduced, one of the eligibility requirements was to take part in a space flight at least 100 kilometers—a little over 62 miles—above the surface of the Earth. This distance was changed to 50 miles by the Department of Defense in the 1960s, a standard that remains in effect today. 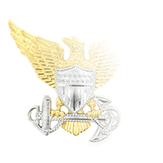 To be awarded the Astronaut qualifier, a USAF officer must be rated in one of the five Aeronautical categories, completed all training necessary to be qualified to carry out duties in space (i.e., above an altitude of 50 miles), and took part in at least one operational mission to completion. The Astronaut qualifier is awarded by the Chief of Staff of the Air Force. To be considered for the award, Airmen who meet all the requirements must fill out and submit the “Application for Astronaut Qualifier” found as an attachment to Air Force Instruction 11-402, Aviation and Parachutist Service, Aeronautical Ratings and Aviation Badges. Given these requirements, it comes as no surprise that the Astronaut badge is the least awarded of all military badges. And while it isn’t a common award at NASA, that organization’s guidelines make it considerably easier to garner the award than it is for military personnel: It is given too all astronauts who’ve been chosen for the space program even if they’ve never taken part in any flight at any altitude. 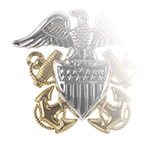 In the USAF, the Astronaut badge is issued at the three levels associated with the wearer's Aeronautical rating, i.e., Basic / Senior / Command or Basic / Senior / Master. 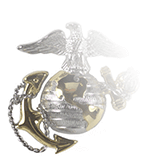 The Navy, Marines, and Coast Guard, on the other hand, issue it in a single degree.